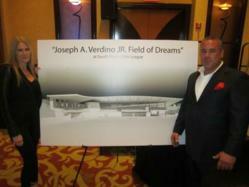 Robin & Joe Verdino, JAV Jr. Field of Dreams Foundation Founders, stand beside stadium renderings. To be able to show the renderings of the stadium for the first time was truly special to us. 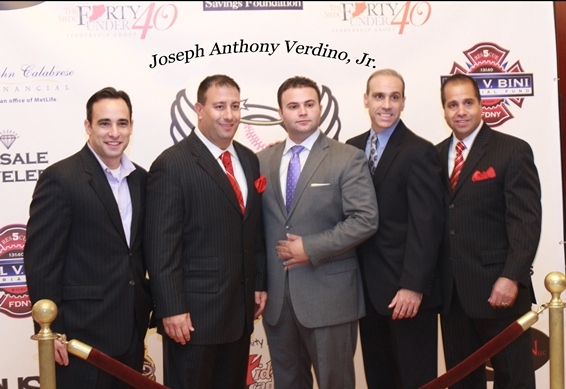 On Thursday, October 25th The Joseph Anthony Verdino Jr., Field of Dreams Foundation hosted its Fifth Annual Comedy Night Fundraiser at The Hilton on Staten Island. More than 300 people came out to show their support including local businesses, elected officials, and friends. 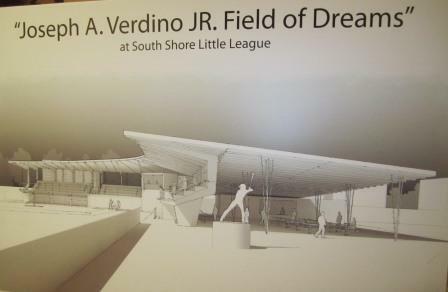 In addition to raising over $45,000 for the non-profit, attendees were able to see the first architectural renderings of the little league stadium the organization intends on erecting in their sons memory. 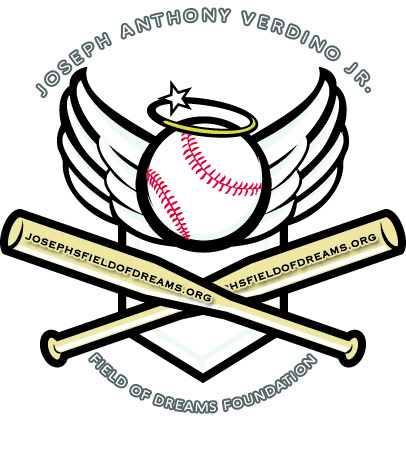 The JAV Jr. Field of Dreams Foundation was created in memory of Joseph Anthony Verdino, Jr. His love of baseball and the community has served as the inspiration to build a state of the art baseball stadium at South Shore Little League. The organization's goal is to provide athletic opportunities for children which will build character, instill values, and cultivate their minds both on and off the field. In addition to Mr. Borelli, Danny Estrella of M2M Productions, and Joseph Palermo, Jr. were among those honored at the event. The foundation also presented South Shore Babe Ruth League with a check for $5,000. To date, the foundation has raised over $2.5 million from both the public and private sector including contributions from elected officials such as Borough President James Molinaro, South Shore Councilman Vincent Ignizio, and Mid-Island Councilman James Oddo. Architects have been hard at work designing the stadium and an official groundbreaking date has yet to be determined.